Winter has well and truly arrived and as you look for ways to stay warm with heaters, electric fires and blankets, remember to take appropriate steps to reduce the risk of fire. 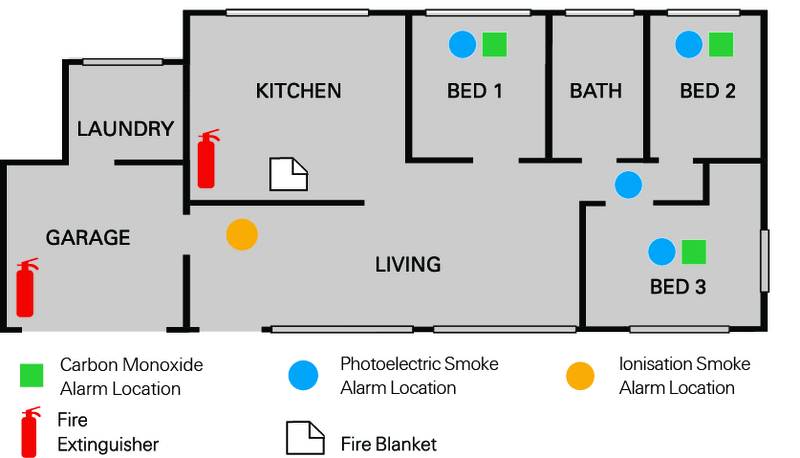 Smoke and carbon monoxide alarms are an important line of defence against fire, research shows over 80% of the population don’t know the difference between a photoelectric from an ionisation alarm, raising a concern that householders are not adequately protecting their home and putting their family at risk. Photoelectric smoke alarms detect slow smouldering fires and dense smoke. It is recommended they are installed in the kitchen, hallway and each bedroom. Ionisation smoke alarms respond quickly to fast flaming fires that produce very little visible smoke. It is recommended they are installed in a central living room on each level of the home. Carbon Monoxide (CO) alarms detect carbon monoxide gas from any source of combustion. It is recommended they are installed in each bedroom. As most fire risks occur while one is asleep or sleeping in a closed environment, such as a bedroom, caravan or motor home, it is important that the right alarms are installed. Carbon monoxide is odourless and difficult to detect but its effect can be fatal. It is most often produced in buildings with gas heaters, cooking equipment, older motor vehicles and gas-powered tools. It is also strongly recommended for use in caravans and motor homes where there is high risk of exposure to carbon monoxide gas. The Exelgard® Carbon Monoxide Alarm is a battery operated alarm that looks similar to a smoke alarm but is designed to detect toxic carbon monoxide gas fumes. It can be easily installed on a residential wall or ceiling. If you haven’t already done so, now is the time to test smoke alarms, and to also use that time to conduct an audit of the home. Check smoke alarm batteries and review each room in the home to ensure the right alarms are installed and located in the right locations”. For complete household protection, Exelgard has developed a guide to help people understand the different alarms, and where they should be located in the home to help them safeguard their family. 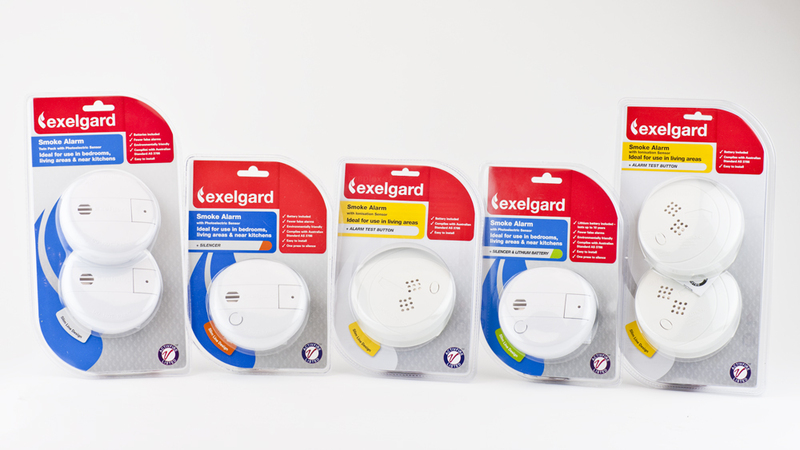 The Exelgard range of smoke alarms is available from Woolworths. The Exelgard Carbon Monoxide Alarm $34.99, Ironisation Smoke Alarm $11.28 and Photoelectric Smoke Alarm $RRP26.86.